With a bitter-sweet tale of a certain age, this Toronto five swings and sways along with late Eighties slacker-rock slouching. The heavy-eyelid vox from Molly Rankin is cute with style and laced with shrewd syllables whilst chiming, coarse-grained guitar and rhythm fills the space behind. 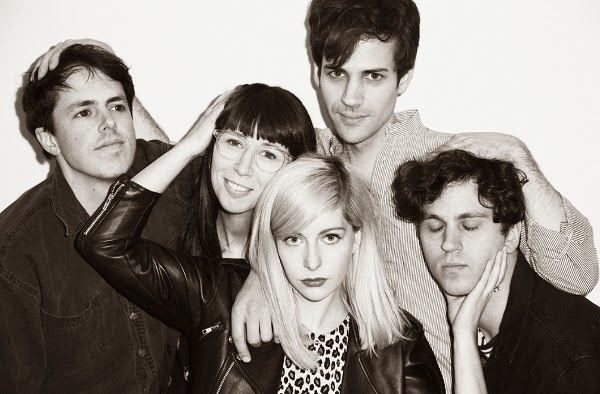 Alvvays sound like a band with more to give and neatly fit a niche right now. 'Archie, Marry Me' will appear on Alvvays eponymous album available in the UK 21 July 2014 via Transgressive Records. They are appearing very much alive all over the place too during the Summer and reports are saying well worth a trip.